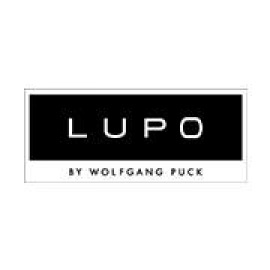 Wolfgang Puck's first Italian restaurant, Lupo by Wolfgang Puck, opened at Mandalay Bay Resort and Casino in 1999 and offers guests new tastes of authentic Italy. The newly remodeled dining room offers guests a stunning, contemporary interior with a palette of warm chocolate brown and cool white. 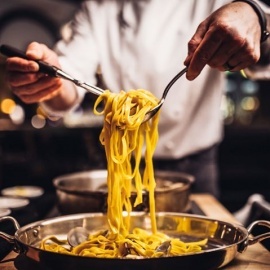 The restaurant boasts exhibition pizza, antipasto and dessert stations, a glass-enclosed area where fresh pasta is made daily and a wine room that is surrounded by a spacious bar in the center of the restaurant. In addition to the main dining room and banquet facilities, Lupo's indoor patio provides a perfect setting for people watching without leaving the hotel.